Des Moines Police investigated a shooting Aug. 6 in the area of Midway Park. One person was shot with injuries that were not life threatening. Investigation continues but the area around Midway Park was shut down for a time. 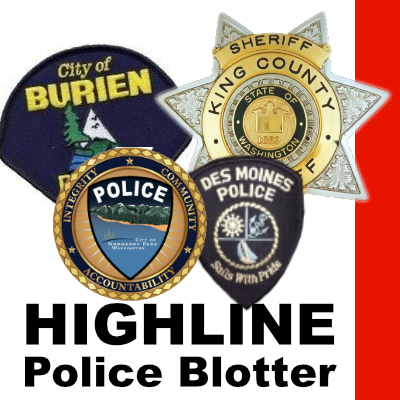 Sunday evening Aug. 5 at 8:21 PM 3 males ages 19, 20, and 21 had reported that they were walking at the 14600 BLK of 1 AVE SW in Burien and were shot at by suspect’s in a white car that fled the area. After hours of investigation, it was determined that the victims were not actually shot as they had initially reported. Turns out, they later admitted that all three of the males were driving in Burien, one was playing around with a handgun in the back seat. One of the males accidently fired the handgun, striking all three of the male’s legs while seated in the rear of the car. They are expected to make a full recovery.